Quality Entertainment has been servicing the Los Angeles and surrounding counties for over a dozen years, providing entertainment for children's parties, schools, country clubs, company picnics, etc. Professional entertainers costumed as colorful clowns, whimsical characters, fairy tale legends, or action heroes engage groups of children with an interactive fun-filled program. Lively and talented performers stage exciting, audience-participatory puppet or magic shows. Through our performances, we aim to have a positive impact on children, providing them with a lasting joyful memory that they can look back on for years to come. 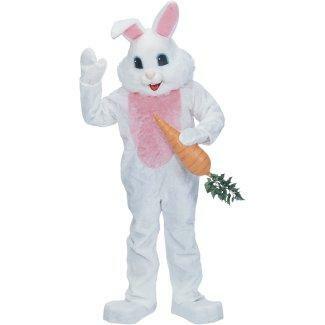 I book quality entertainment for a children's Halloween Party and was so pleased with the entertainment provided. We booked an hour of entertainment that included a magic show plus balloon shaping and the kids LOVED every minute of it! I've had this party for 5 years and every year I book a new entertainer using Gigsalad, but this year was the best by far and my first 5 star review. I highly recommend Quality Entertainment for any event where kids are a primary audience. I highly recommend him!! It was like 'magic'! Scott came in and it was as if we all instantly knew him! He was that easy going and friendly. He was set up and had the attention of all the kids in minutes! Our group was mostly in the 5 age range and he was able to keep them paying attention for an hour!! I highly recommend him!! It was like 'magic'! came to the venue on time and entertained our children sincerely.. All our children loved him and he was such a loving Santa for everyone. Much of our business comes from referrals and repeat clientele. Many of our customers become our friends. Why? Because they know we care and that we treat people with honesty and respect. Contact us and find out for yourself. We look forward to being of service to you. As Santa, I have had the privilege of doing home visits and being invited back by people year after year after year to be a part of their family's holiday tradition. Children delight in puppet shows and these funny 30-minute performances full of zany characters and sweet messages are no exception! You also have the option of hiring the puppeteer to stay after the show and entertain the kids with, balloon twisting, games or a magic show! Scott delivers a fun interactive magic show for ages 3-7; adults and children will delight in his unique storytelling style of magic. 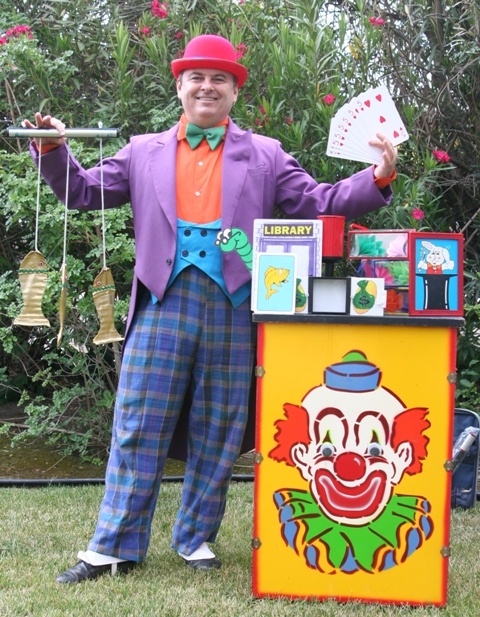 You also have the option of hiring the magician to stay after the show and entertain the kids with games or balloons. 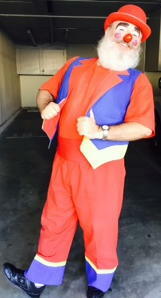 I am a professional actor and have been a children's entertainer for over 2 decades. Weather you are having Santa Clause, a puppet or magic show, etc. You can expect a fun, professional performance that will keep your guests entertained. Professionally trained actor. Performed under Actor's Equity Association theater for young audiences contracts for many years. 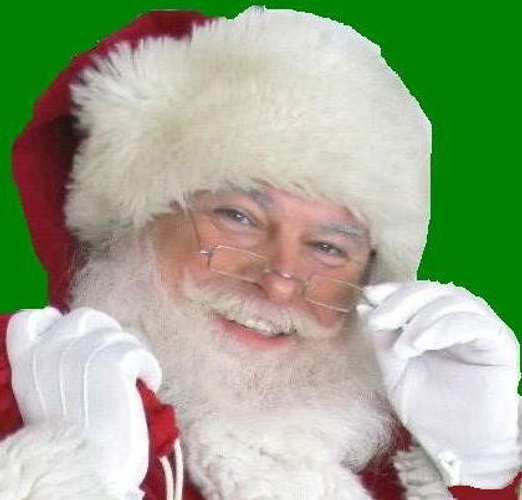 For Santa, do not have him stationed near a lit fireplace or any heat source. 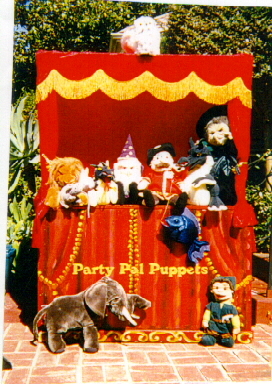 For puppet shows, the space needed for the stage is approx. 6'x6'. For magic shows, it is best to station the magician where there is no reflective surface behind him and to have the audience in front of him, not on the sides or where people can look from behind.